If you are responsible for organizing a corporate event, you are essentially in charge of a once-in-a-lifetime opportunity for a business to make an unforgettable impression in the minds of everyone who attends. Matrix Visual is your live events partner in this endeavor—they have decades of experience with corporate event production creating beautiful, corporate video walls, and they can lend their wide-ranging technical skills to your next big day. When Professionals & Creatives Come Together! Corporate events fall into several Brand Activation/Brand Awareness categories; some are in-house events intended to honor and entertain company employees, while others are designed to present a new product to the public. 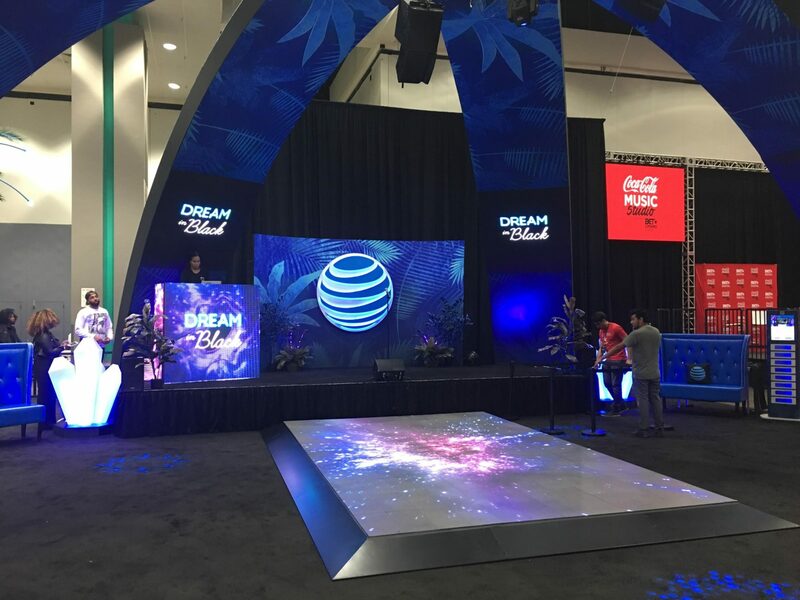 To get the most out of these events, you need a full-service production house that can provide first-rate technology, on-site support services, and innovative design for your on stage LED screen. This is what you get when you hire Matrix Visual for your corporate event. Corporate events need video walls to be visually stimulating if they are to capture the attention of an audience accustomed to YouTube, social media, and other eye-grabbing media. Matrix Visual’s high-quality LED video display walls provide stunning visuals, integrating video, photography, or any other visual aids provided by the client. With more than 2000 LED displays available for rent, Matrix Visual has a huge assortment of state of the art products for you to select from.